This package contains one pair of circular needles with a 16 inch cord. Engineered from hollow brass pipes and plated with chrome making the shiny smooth surface a delight to work with. The smooth surface allows stitches to move quickly with no resistance. 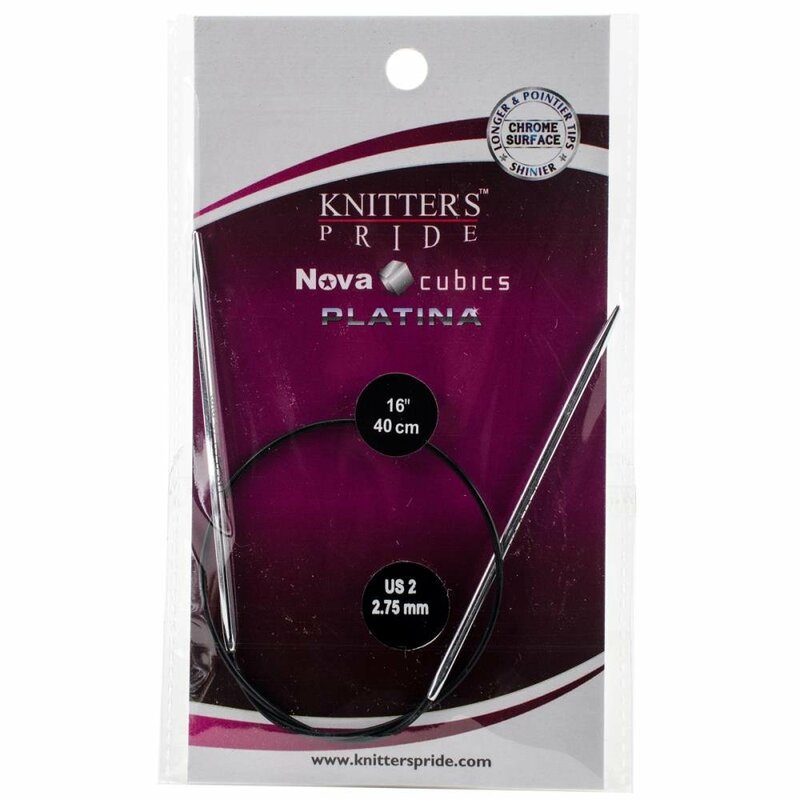 Great for all levels of experience and ideal for all knitting projects including lace! Smooth join enables easy stitch glide and no snagging. Cords are flexible and lay flat with no kink or twist. Comes in a variety of sizes. Each size sold separately. Imported.